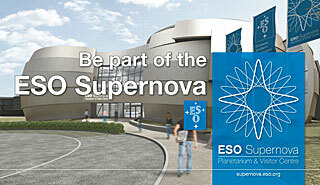 Constellation partners contribute to keeping the ESO Supernova Planetarium & Visitor Centre open for the public and free. Their contribution of 25 000 €/year is a direct investment in the community, allowing the organisation to offer an immersive and engaging experience with science and technology, inspiring coming generations to appreciate and understand the Universe around us and our planet. In return, Constellation partners enjoy a package of benefits, ranging from making use of the building for their projects and events to engaging with our visitors in meaningful ways. As part of the corporate partnership we also offer exclusive logo and brand exposure to our partners.